Through partnerships with a number of stakeholders, the Centre is able to offer a wide range of educational opportunities. Training and development opportunities are offered to students and professionals. In 2019, the Centre will launch the first of its interdisciplinary online graduate diploma programs. 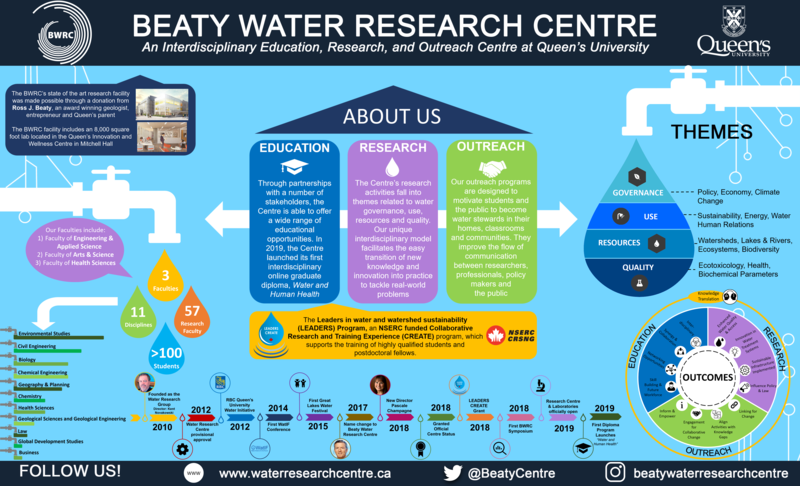 The Centre’s research activities fall into themes related to water governance, use, resources and quality. Our internationally renowned, interdisciplinary team of experts span disciplines in engineering, natural sciences, social sciences and health sciences. 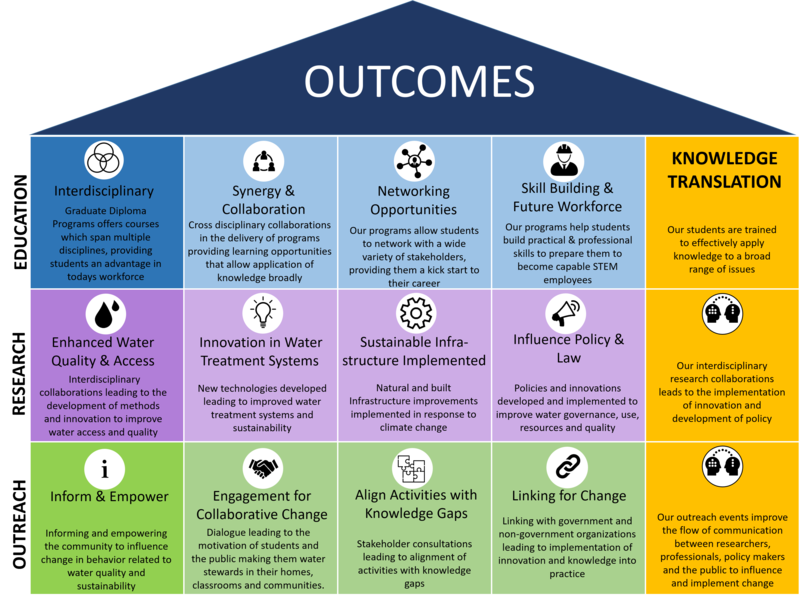 This unique interdisciplinary model facilitates the easy transition of new knowledge and innovation into practice to tackle real-world problems. The Centre hosts enhanced multidisciplinary outreach programs. These programs are designed to motivate students and the public to become water stewards in their homes, classrooms, and communities. All our outreach events improve the flow of communication between researchers, professionals, policy makers, and the public. Click Here To See Full-Size Infographic!